Seared to perfection! This well-seasoned tuna steak, with a sweet and savory crust, is a recipe definitely worth repeating! *Note: This recipe is for one, 4 oz., tuna steak. Feel free to double the recipe if you would like to add another steak. Preheat skillet over medium-high heat. Place tuna steak on a plate. Combine the rest of the ingredients down to wasabi peas (do not include those yet). 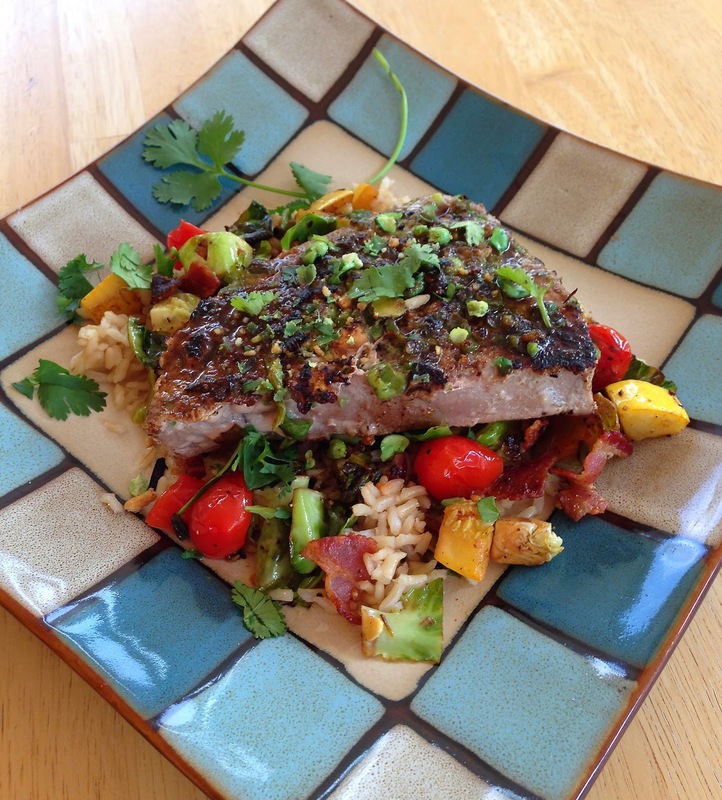 Mix well and brush tuna steak with marinade. Reserve 1 1/2 tsp. marinade for tuna steak after it's cooked. Coat (both front and back) tuna steak with the crushed wasabi peas. Place in skillet and cook for about 2 1/2 minutes on each side. Remove tuna steak and brush with remaining marinade. Enjoy!